The Flounders Band plays fresh arrangements of covers from the 60's to now. Available as a duo, trio and up to five-piece band. 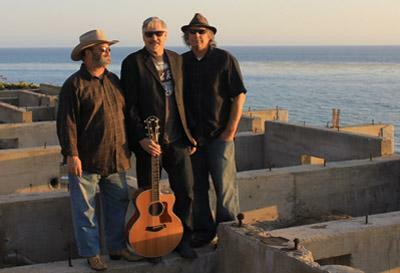 The Flounders have been performing at venues, parties, weddings and events throughout San Diego County. 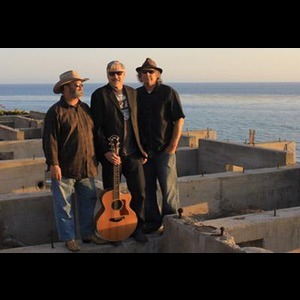 The music of The Flounders draws upon influences of island reggae, rock, surf and Mexican mambo. Musicians that have performed with the Flounders over the years include: Mike Shook, Tim Winters, Gary Johnson, Jeff, Moore, Noela Bishop, John Papenbrook, Tyler Shook, Keili Mau, John January, Johnny C, Kelly Kelleher, Adrienne Nimms, Frank Lazarro, Kent Waters, Rocco Guccioni and Mark Opriska. The Flounders have produced two CDs - Around The World (2002) and Goin' South (2009). We have played parties, weddings and corporate events. Girls Run Wild Race, Hornblower Yachts, Ignite, Jamroc, La Costa Resort, Le Papagayo, Bar Leucadian, Mariott Del Mar, O'Connel's, O'Sullivan's, Peter D's, Race For Literacy, Resounding Joy Concerts, Robbies Roadhouse, Surf And Saddle, San Diego Zoo, Solo, The Stage, Tower 13, Tuscany, William B. Evans, Yact Fest and Zel's Del Mar. Please note Flounders will also travel to Poway, Rancho Santa Fe, Escondido, Del Mar, San Marcos, Santee, Solana Beach, Cardiff By The Sea, La Jolla, Encinitas, El Cajon, Lakeside, Ramona, La Mesa, Carlsbad, Vista, Lemon Grove, Spring Valley, Oceanside, Valley Center, Alpine, Coronado, Bonsall, Lincoln Acres, National City, Bonita, San Luis Rey, Chula Vista, Pauma Valley, Jamul.